Officers were called to the 2600 block of Black Fir Court about 5 a.m. Friday. 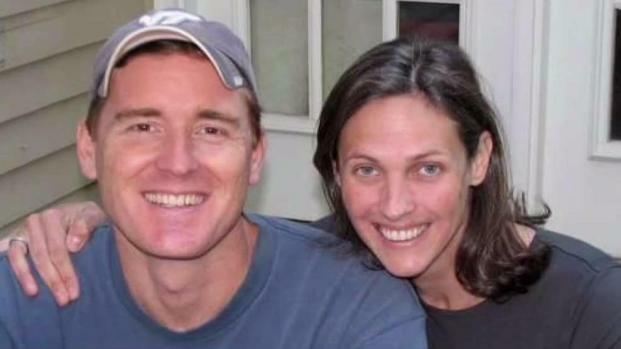 When they arrived, they found Scott Fricker, 48, and his wife, Buckley Kuhn-Fricker, 43, and a third person with gunshot wounds inside the home. The Frickers were pronounced dead at the scene, police said. The third person, a 17-year-old boy, was taken to the hospital in critical condition with a single gunshot wound. "It's amazing, because the loudest thing that happens around here is the occasional barking dog," said neighbor Bill Aylward. Aylward said the couple had just moved into the house a few months before the shooting. The couple had three children who were all believed to be home at the time of the shooting. Police have not released any details about the shooting but said all parties were known to one another. There were several people at the home at the time of the shooting, and investigators said they are talking to them. Two people are dead and one was critically injured in a shooting in Reston, Virginia, Friday morning, Fairfax County police say. 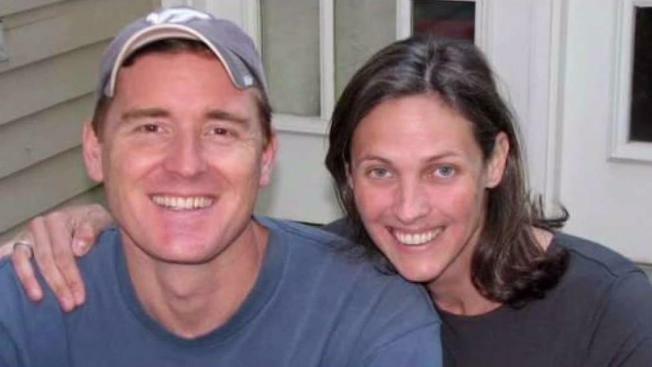 "They were a wonderful couple," Janet Kuhn, Buckley Kuhn-Fricker's mother, said. Kuhn said days before the killings, Kuhn-Fricker had been consumed with concern about her 16-year-old daughter's boyfriend. Kuhn said Kuhn-Fricker had discovered the 17-year-old was a Nazi supporter. "My daughter and her husband found out about a lot of the Nazi stuff just this past week, and they forbid their daughter to see him again," Kuhn said. The quote was a reference to what was happening with her teenage daughter's boyfriend, Kuhn said. "It's sad. I mean, I don't know what really happened, but it's devastating," neighbor Sandra Amin said. No one has been charged at this time.